This post may contain affiliate links. Please read the disclosure for details. Choosing the right credit card can be overwhelming, to say the least. With a Cheesecake Factory-length menu of options, the hardest part is just knowing where to start. So first things first, where do you spend most of your money? Understanding your spending persona will narrow the universe of card choices and lead you to one that fits your lifestyle. 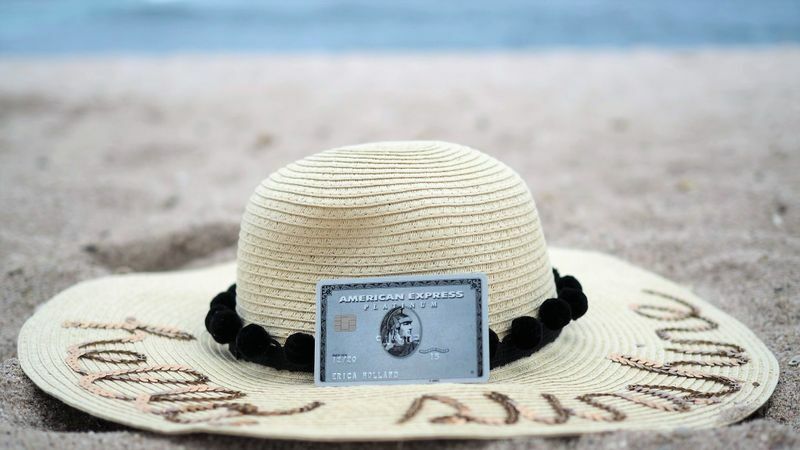 Whether you're a traveler or a student, a credit card novice or an online shopper, there's a card tailored to fit your needs. So consider this post your go-to resource for a curated collection of the best. 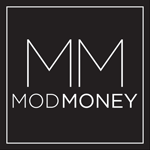 Here are my featured card picks for every spender. Whether you’re a luxury jet-setter or a budget commuter, these cards reward you with high returns on hotels, airfare and ride-sharing. Plus, all the creature comforts you need to make your trips enjoyable. 50,000 point sign-up bonus after spending $4,000 in 3 months. Worth $750 if used to book travel through the Chase Ultimate Rewards Portal but can be worth $1,000+ if transferred to partners like Southwest, United, British Airways, Hyatt, Marriott, Ritz Carlton, and more. 3x points on travel and dining. $300 reimbursed for travel spending each year. $100 fee credit for TSA Pre-Check or Global Entry. Access to Priority Pass airport lounges. 60,000 point sign-up bonus after you spend $5,000 in 3 months. Worth up to $1,200 if transferred to travel partners like Delta, Hilton, British Airways, Emirates, Jet Blue, Hawaiian, and more. 5x points on flights or hotels booked through AmEx Travel. $200 in Uber credits per year. $200 reimbursed for airline incidental fees each year. $100 credit for TSA Pre-Check or Global Entry. Access to Fine Hotels & Resorts, a luxury hotel network with benefits like free breakfast, room upgrades, late check-out, Wi-Fi, spa or food credit, and more. Access to AmEx Centurion Lounges and Priority Pass lounges. Automatic Gold Status for Starwood and Hilton. If you're a credit card newbie or just starting to build your credit score, don't dive into a complex, high-fee card right away. Instead, build your credit slowly and responsibly. These two no-fee cards with lucrative cash-back opportunities are perfect for this approach. I use both of them for plenty of my everyday purchases. $150 cash bonus after spending $500 in 3 months. 5% cash back on up to $1,500 in rotating quarterly bonus categories. 0% APR for 12 months from account opening on purchases and balance transfers. 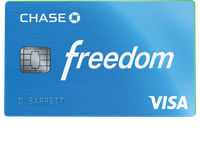 The reason to apply for a Chase Freedom card is its rotating 5% cash-back feature. The categories are always relevant and rotate between gas stations, Internet services, mobile wallets, grocery stores, wholesale clubs, restaurants, department stores and more. If I'm not spending on travel, dining, or a Chase Freedom category, I'm likely using my Chase Freedom Unlimited card. This is a newer introduction to the Chase card portfolio and offers 1.5% back on every purchase, no matter what. It's so simple and perfect for someone who doesn't want to think about which card to use. $150 bonus after spending $500 in 3 months. Unlimited 1.5% cash back on every purchase, automatically. It's never too early to start building your credit in a responsible way, and college students are the perfect candidates for select credit cards. The Chase Freedom and the Chase Freedom Unlimited are both great options for students, but I also want to share one specifically tailored for those still in school. $20 statement credit each school year your GPA is 3.0 or higher. 5% cash back on quarterly rotating categories such as gas stations, groceries, restaurants, Amazon or wholesale clubs. Discover will match all the cash back you earned at the end of your first year, automatically. You may notice that both the Discover it and the Chase Freedom offer rotating 5% cash-back categories. In choosing between the two, I prefer the Chase Freedom because it offers broader redemption options. With Chase, I can redeem points for cash, gift cards, merchandise, experiences or travel. 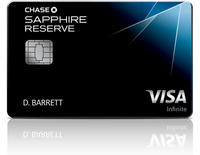 Plus, if you have a Chase Sapphire Reserve, you can transfer Freedom points to the Reserve card and redeem at a higher rate per point. It's no secret that Amazon has completely changed consumer purchasing behavior. If you're on board with the online shopping trend, consider adding this card to your wallet. $70 Amazon gift card upon approval. 5% back at Amazon and Whole Foods Market. 2% back at restaurants, gas stations, and drugstores. Redeem rewards to pay for your Amazon purchase at checkout. 100 points =$1.00. No annual fee, but you have to be an Amazon Prime member to get these benefits, which is $99 per year. If you're not an Amazon Prime member but still an Amazon lover, you're in luck! The Amazon Rewards Visa Signature Card gets you 3% back at Amazon and Whole Foods instead of 5%. But the remaining benefits are largely the same. Whether you’re involved in a nonprofit or just passionate about giving back, there is one socially conscious credit card to add to your mix. 1% cash donations to any nonprofit of your choice including K-12 schools, colleges, and religious organizations. Plus, Charity Charge underwrites all donation processing fees. You can fund up to three nonprofits at a time and choose new ones whenever you'd like. Free access to your FICO score. Choosing the perfect credit card is just a matter of pinpointing your spending persona. Are you a restaurant diner? An Amazon shopper? A luxury traveler? A social entrepreneur? Some combination of the above? In other words, if the cards in your wallet are a reflection of who you are, then you're in excellent shape! Previous Post - Does Opening a New Credit Card Affect Your Credit Score?